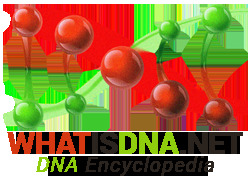 The knowledge on www.whatisdna.net (WhatisDNA) has been selected from research and sources which we believe to be credible and up to date and is supplied for education purposes only. WhatisDNA provides this Web site as a public service. We do not collect any personally identifiable information (PII) about you when you visit our Web sites unless you choose to provide that information to us. We do collect some data about your visit to our Website to help us better understand how the public uses the site and how to make it more helpful. This information is used to measure the number of visitors to the various sections of our site and improve organization, coverage, system performance or problem areas. This information is not used for associating search terms or patterns of site navigation with individual users. When search features offer suggested terms, these suggestions are based on aggregated data only. WhatisDNA periodically deletes its Web logs. On occasion, WhatisDNA may provide aggregated information to third party entities it contracts with for research analysis. Aggregated data cannot be linked back to an individual user. When you visit any Web site, it may place a small text file, known as a “cookie” on your computer. The cookie allows the Web site to “remember” specific information about your visit while you are connected or when you return to that site. The Office of Management and Budget Memo M-10-22, Guidance for Online Use of Web Measurement and Customization Technologies (PDF, 1.03MB), 6/25/10, allows Federal agencies to use session and persistent cookies, defined below. The cookie makes it easier for you to use the dynamic features of Web pages. Cookies from WhatisDNA Web pages only collect information about your browser’s visit to the site; they do not collect personal information about you. While visiting certain WhatisDNA sites, you may occasionally encounter a Web page that automatically employs cookies to make it easier to use the dynamic features of these Web pages. WhatisDNA Web sites may use either single session (temporary) or multi-session (persistent) cookies. Session cookies last only as long as your Web browser is open. Once you close your browser, the cookie disappears. Persistent cookies are stored on your computer for more extended periods. Session Cookies: We use session cookies for technical purposes such as to enable better navigation through our site. The OMB Memo 10-22 Guidance defines our use of session cookies as “Usage Tier 1 – Single Session.” This tier encompasses any use of single session Web measurement and customization technologies. Persistent Cookies: WhatisDNA uses persistent cookies to enhance the Web experience for our users. Persistent cookies remain on your computer between visits to WhatisDNA until they expire. The OMB Memo 10-22 Guidance defines our use of persistent cookies as “Usage Tier 2 – Multi-session without Personally Identifiable Information (PII).” This tier encompasses any use of multi-session Web measurement and customization technologies when no PII is collected. If you do not wish to have a session or persistent cookies placed on your computer, you can disable them at any time from your Web browser. If you opt out of cookies, you will still have access to all information and resources at WhatisDNA, but may be unable to use cookie-dependent features. Follow these instructions for disabling or opting out of cookies in the most popular browsers, https://www.usa.gov/optout-instructions. Please note that by disabling cookies from your Web browser, you will disable cookies from all sources, not just those from WhatisDNA. If you choose to send us personal information by email, or by filling out a form on our Web site, we use that information to respond to your message and to help us provide you with information or material that you request. If provided, personally identifiable information is maintained in a database that is regularly purged. Third party contractors may have access to this information to provide a response to your question or comment. These contractors are held to strict policies to safeguard the information and provide the same level of privacy protection as guaranteed by WhatisDNA. On occurrence, we may conduct a study concerning the types of questions sent to us. These studies help us to improve our Websites to make them more responsive to the needs of our users. We do not give, share, sell, or transfer any personal information to a third party unless required by law. The U.S. Government maintains this site. For site security purposes and to ensure that this service remains available to all users, we use software programs to monitor traffic to identify unauthorized attempts to upload or change information, or otherwise cause damage. Causing damage to federal computer systems is a violation of U.S. law and is subject to criminal prosecution in federal court. In the event of authorized law enforcement investigations, and according to any required legal process, information from WhatisDNA Web logs may be used to help identify an individual. The list below includes the applications we use and their purposes. For any sites or applications that collect PII, this list also includes details on the information they collect and how WhatisDNA protects your private information. AccessPress Social Share allows you to bookmark and share WhatisDNA content in a variety of ways, including through social media sites and your Web-based email service. You do not need to register or provide any personal information to use AccessPress Social Share.